Time flies and it seems like yesterday we started our Y chromosome study at Clan Forrester. That yesterday was 2014 and I am overwhelmed at the success we have enjoyed. Our commitment to our membership is just as strong today and we labor even harder than we did at the beginning. I'm now engaged about 20 hours per week in my volunteer role in research and inquiries. Working with folks from haplogroups E through T is a challenge and our members keep me on my toes. We have been successful because we treat people as we would like to be treated. We hear you guys and understand your needs and concerns. This article addresses most of your concerns and inquiries. It reestablishes our commitment to you, our members. Many folks have commented on the DNA articles I have written for Clan Forrester - most positive, some negative. I always welcome feedback and input - it allows me to better serve our members. One of the main criticisms I receive is the articles are too simplistic and do not contain enough science. 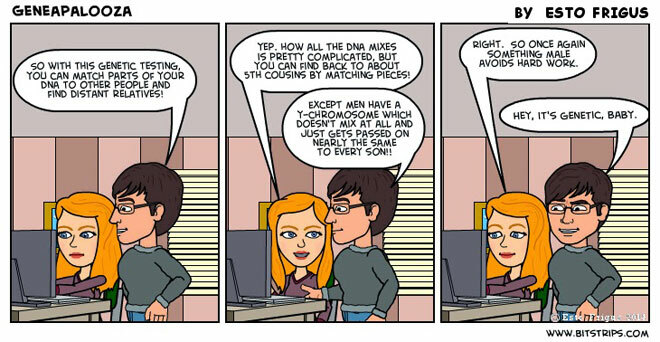 I tried this approach to begin our Y chromosome study and the complaint then was "I can't understand the article, please cut back on the technical jargon". We agreed with the critique and the consensus among Clan Officers was a more vernacular approach - this has proven very successful. Since most of our participants are new to genetic genealogy, we prefer 100 words the novice can understand instead of 10,000 words they can't. I increase the complexity on an individual basis as each participant increases in knowledge. The officers of Clan Forrester not only encourage Y DNA testing, many of us are participants ourselves. Our genetic data is entered right alongside those we have encouraged to participate. The thing about DNA study is there is no gain of knowledge without sharing. We only publish kit numbers of each participant and the participant provides the information they wish to be known. Each participant can provide as little or as much as they deem fit. Clan Forrester can provide STR analysis and comparison - but I can't do it without your STR sequence. We may recommend you join appropriate family group projects or haplogroup projects. This is how we connect people and families. At times I recommend third party analysis for our Big Y or FGC Y elite participants. Full Genomes Corporation [FGC] or Y Full maintains your privacy by issuance of an identification number. VCF and / or BAM files from your FTDNA account can only be requested by you. Once again, only you can provide information you wish to be known. You do not have to provide e-mail contact if you don't want to be contacted. In some occurrences, I act as liaison for anonymous participants. Since Clan Forrester officers are participants we also have accounts for third party analysis with Y Full or FGC - some of us have employed both companies. I recommend Y Full for the novice as it is more user friendly and easier for me to teach necessary navigation skills. FGC analysis is tailored for the more advanced and I personally get a lot more out of their data analysis presentation. Y chromosome, autosomal and mitochondrial DNA are powerful genealogical tools when properly applied through the scientific method. We are rapidly approaching an age when conventional genealogical paper trails will not be considered without DNA support. This is partly due to the confusion created by erroneous attachments to ancestors in gedcom cloud storage repositories such as ancestry.com and my heritage. It isn't the fault of the company; it is the fault of the genealogist owner of the tree. I remind everyone it is OK to copy and paste for research: but then you must document and confirm. Our purpose in Forrester genetic genealogy is to identify male paternal lines by triangulating the correct common ancestor from several test results. This has allowed us to identify 14 major Forrest / Forrester lineages, each with a distinct and unique haplogroup signature. I am certain more will emerge in the future. As a result of these efforts we have helped hundreds, perhaps thousands now as I lose count, find family. This is what it's all about. My recent article "The Hillbilly and the Legend" is but one example of success stories of or DNA program. The success of our program has not gone unnoticed. Several Clans have contacted me for advice to emulate what we are doing. We have provided assistance to everyone from beginning layman practitioners to PhD's: we can help you too. Your membership in Clan Forrester supports this research. Funding you provide through membership dues keeps us going and in the public eye at Highland Games across the Southeast. Grandfather Mountain and Stone Mountain games are among the largest in the World so our presence is almost obligatory. All of our officers are volunteers including me. We pay for our own transportation, food and lodging and even admittance for these events. Clan packages normally cover two tickets for events - most of us pay our own way in. Clan Forrester public presence grows with our membership numbers: we thank our members as we have been able to support additional games at Blairsville, GA and Winter Springs, FL near Orlando. We put everything we have back into our membership. The other officers of Clan Forrester can attest, I seldom get to sit at these games due to the number of inquiries concerning DNA. Our officers support me by bringing me food or drink - sometimes I wish they could go to the toilet for me because it's so hard to get away. It's a good problem though; it represents the growing numbers of how many are keenly aware you can't have genealogy without genes. Without your support there would be no Clan Forrester. There would be no continuance of this vital research. There would be no website as repository for articles and information, no Forrester genetic genealogy and no public interaction to further the research. I ask anyone reading this to help keep us out there to work for you. Thanks to you 2016 was a great year - with your continued support our best years are yet to come.